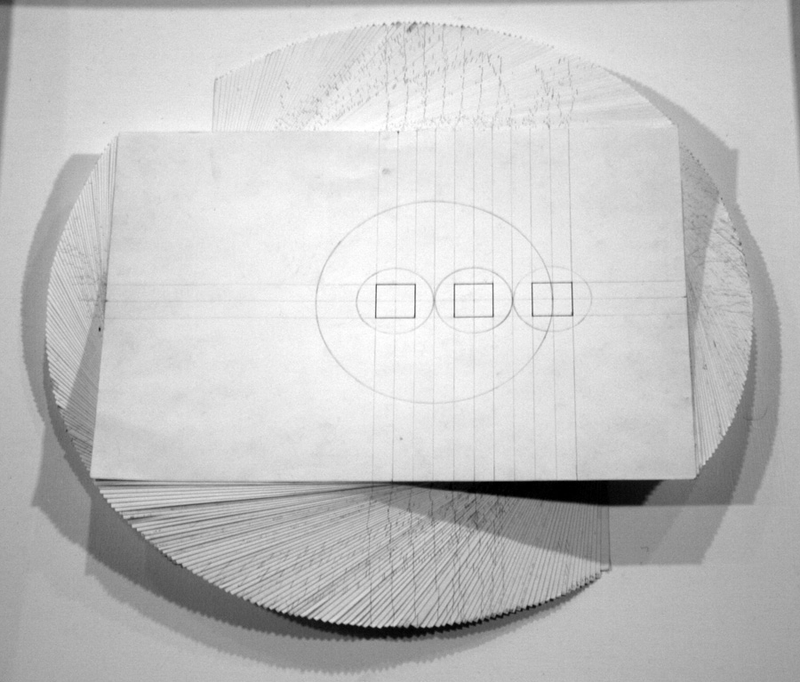 This show explores the geometry that informs human and artistic expression. 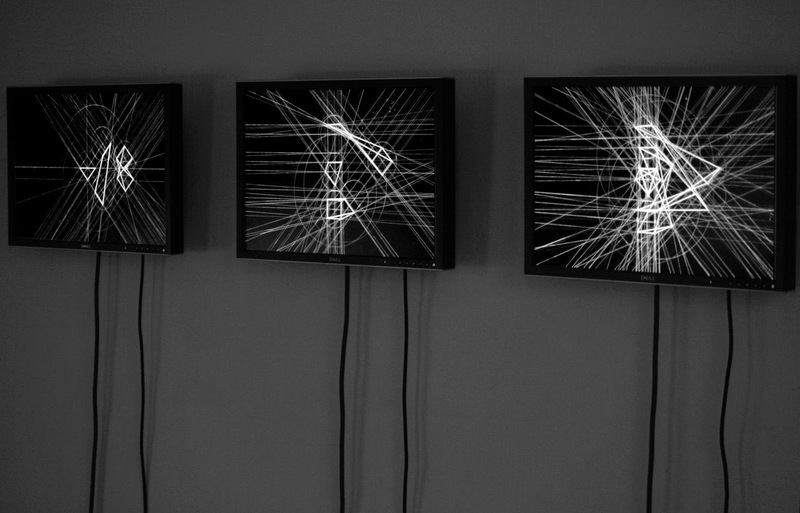 The work, in different ways, accesses an alternative language of shape, mark and symbol. It also exposes the measured logic behind the process of making work. 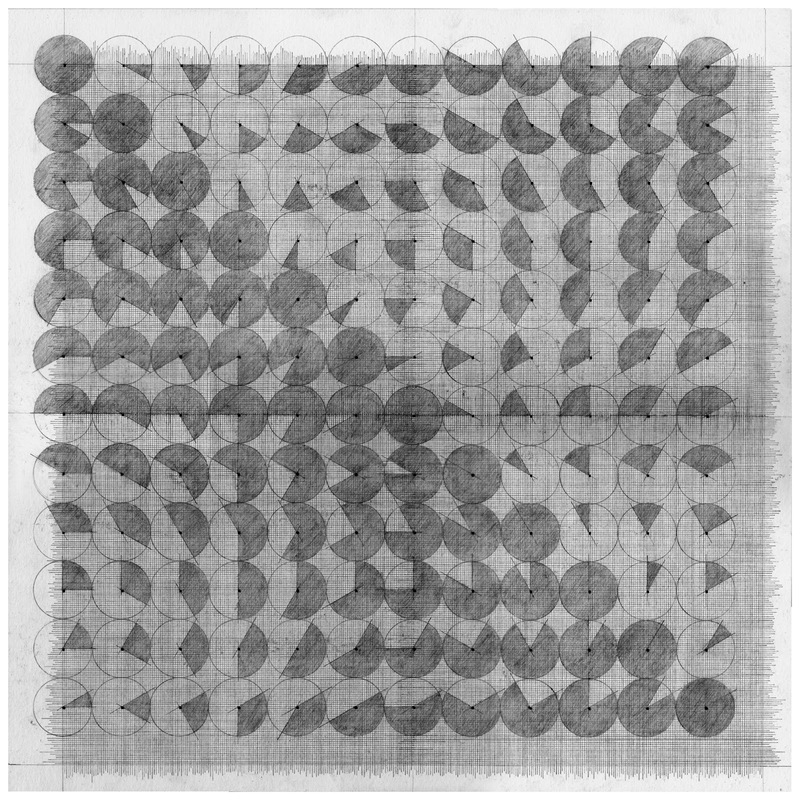 In this show, drawing functions as a primary-making-language. Each work conceives visually of an area of consciousness that exists in the various margins of human experience. 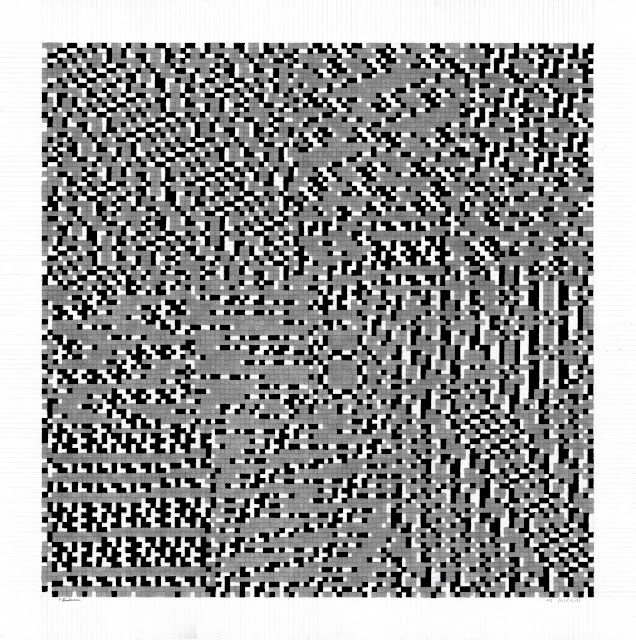 We find that it is in the most disordered chaos that order and logic present themselves; and we find the utmost humanity in the most ordered, geometric vision. This humanity exists too in the fundamentality of repetition and the repeated shape; it is the basis of the external image but is also crucial to how we conceive of ourselves and find coherence in our being. Such repetition has a quiet profundity of its own, regardless of initial linguistic or symbolic meaning. It manages to bypass the weight of formalized language and thus reveals something; from infinity to nothing. This show marks an attempt to locate the very foundations of the image; tracing back to the amoebic beginnings of shape and structure. Most of all, this show is a homage to the artists’ ability to find quiet, measured precision in a plural practise.